Everyone experiences life differently. Gaining a greater understanding and awareness can be a challenging and profound process. The therapy offered by Dr. Hardt focuses on working together through the various challenges that emerge. 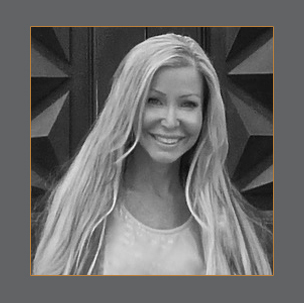 She appraises each patient’s circumstances, providing individualized tools designed for healing, restoring and empowering. Her professional approach is collaborative and strength-focussed. The wealth and range of her experience offers an expansive approach to treatment. 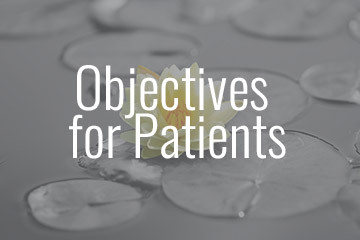 Through an engaging and encouraging environment, she endeavours to assist each patient in creating a positive resourceful state, enhanced quality of life, and a lasting motivation to thrive. Dr. Hardt is dedicated to extending the highest standards of professionalism, integrity, current knowledge, innovation, compassion and consideration. Aligned with efficient online mental health care throughout Ontario & Quebec…Dr. Hardt stands for Effective Connected Care. Dr. Susan Hardt holds three degrees from the reputed University of Montréal; a Bachelor of Science, a Master of Psychology as well as a Ph.D. in Clinical Psychology targeting both research and intervention. She has been a member in good standing of the Order of Psychologists of Québec since 1996 as well as a current member of the College of Psychologists of Ontario, the Ontario Psychological Association, and the Canadian Psychological Association. Dr. Hardt is also a provider for Badge of Life Canada, Boots on the Ground, the Ministry of the Attorney General, Victim Services division as well as the NIHB. Using an integrated approach, Dr. Hardt offers individualized and eclectic treatment modes founded on evidence-based principles of practice. She incorporates a distinct combination of methodologies; a conceptual developmental perspective integrating pertinent treatments and techniques. 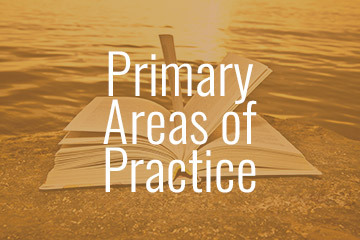 These include cognitive-behavioural and psychodynamic therapies, each component adjusted for maximum clinical effectiveness in targeting mental health and well-being. 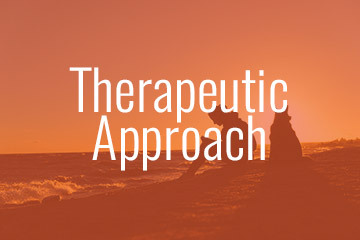 Concurrently, Dr. Hardt provides a secure therapy platform(PHIPA & PIPEDA compliant) with the goal of reaching optimal functioning for each patient. Short & long-term approaches, evening & weekend hours as well as French & English services are available. Dr. Hardt’s clinical practice is now supported and linked to the virtual world by offering online therapy services (audio/video conferencing). This distinct approach optimizes patient service while integrating required protection for the privacy and security of personal health information through a unified health cloud platform designed for use by health care professionals. This virtual office allows Dr. Hardt to offer more flexible office hours while patients can conveniently have a therapy session online from the device (desktop, laptop, smartphone or tablet) and the location of their choosing. Follow the link in the Contact section … and with a few ‘quick clicks’ you will make your appointment! … Easy as 1 2 3! You will receive an email confirmation as well as several email reminders with your appointment details. Prior to the start of your appointment, click “Visit your Account” in any of these emails. If it is your first time logging in, you will be prompted to create a password and, through a couple of steps, ensure that you are all set up for your upcoming appointment. Up to 10 minutes prior to the appointment time, click “Join Call” to begin your session with Dr. Hardt. If you have any technical questions along the way (from making the appointment to connecting online with Dr. Hardt) there’s a great technical-support team available to help. You can contact them at (888) 687-9288 ext. 0 or via email at support@oncallhealth.ca. Before you start your treatment with Dr. Hardt, you will be required to read a consent form. If you wish to preview it, click on the downloadable version of the Consent Form. At the start of your appointment you will have the opportunity to discuss any questions you may have regarding the consent form and review any other administrative matters related to your course of treatment with Dr. Hardt directly. As a Registered Psychologist, Dr. Hardt’s fees are often covered by Extended Health Benefits plans. Some extended health insurance plans reimburse all or part of your fees, while non-reimbursed fees may be claimed as medical expenses on your income tax returns. Although this may represent an allowable expense under the Canadian Federal Income Tax Act, it remains the claimant’s responsibility to ensure that the medial expense meets Canada Revenue Agency’s requirements. In addition to third party insurance plan coverage, Dr. Hardt’s fees may be covered by Veterans Affairs Canada. Dr. Hardt’s current professional fee for therapeutic service is $225 per hour. If you are in crisis or need immediate assistance, go to your nearest Emergency Room. Must be 18+ years of age and reside in the Province of Ontario or Quebec. In case of technological failure, Dr. Hardt will communicate with you via the contact information provided. Please note that while the online health cloud therapy platform selected by Dr. Hardt integrates the required encrypted protection for the privacy and security of information, email communication, in general, does not include the same stringent standards for privacy as her virtual office platform. The icon integrates elements of the fleur-de-lis, derived from the lily or lotus which is thought to have symbolic origins in creation and rebirth; twice born through the emergence from the earth below the water, then struggling to grow towards the light where it blossoms. The content on this web site is offered only to assist individuals in their exploration for pertinent information. The site is not intended for diagnosis, legal or professional services of any kind. The linking of external resources does not in any way represent endorsement, recommendation or sanction of any site or its contents and this web site holds no accountability for the content, the accuracy or legality of any succeeding links. All responsibility for outcomes associated with this or linked sites are assumed by the individual who views or utilizes this or any other information connected herewith. Information associated or linked with this site may not always be comprehensive or complete, relevant or applicable in every situation. Regulations, case law, standards, legislation and other content or information, representation of products or services may change, be multifaceted or time-sensitive. The consideration of any information extracted from the internet must be moderated and assessed with this understanding. This web site and its representatives assume no liability with regard to the information contained in this site or in association with it in any way, and do not make any claims, guarantees, warranties or promises, expressed or implied. All information provided by Dr. Susan Hardt is owned by or licensed to Dr. Susan Hardt and its licensors retain all proprietary rights to the information contained on the pages. Except for making one hard copy print of the information or downloading the material for a one-time use, information on the pages may not be reproduced, transmitted, distributed, or displayed, without the express consent of Dr. Susan Hardt. As a client using Dr. Susan Hardt’s services, you may be asked to provide certain pieces of information in order for her to provide you with an optimal service. Dr. Susan Hardt never collects more personal information than is needed to fulfill these purposes. Your personal information is never traded, sold or leased by us to any external companies. Your information is only disclosed for Dr. Susan Hardt’s legitimate business and professional purposes or as required to meet legal and regulatory requirements, for example to comply with a court order. We have procedures and policies in place to ensure that your personal information, in both paper and electronic format, are secure. To further your understanding of these matters, please review the Consent Form in the Informartion for New Patients section.